Liverpool manager Jurgen Klopp has provided an injury update on captain Jordan Henderson. The skipper was forced off with an ankle problem during today’s 2-0 win over Chelsea at Anfield. He was named man of the match despite being replaced by James Milner after 77 minutes had been played. After the game, Klopp allayed concerns of a lengthy spell on the sidelines for Henderson. The Reds boss said the injury was just a knock and there are no concerns about the England international having sustained more serious damage. Speaking in his post-match press conference, Klopp said: “He got a knock on his ankle, that’s pretty much all. “He was fine after the game. With a Champions League quarter-final second leg against Porto looming on Wednesday and just four league games left for the table-topping Reds, that is good news for Klopp and the club. 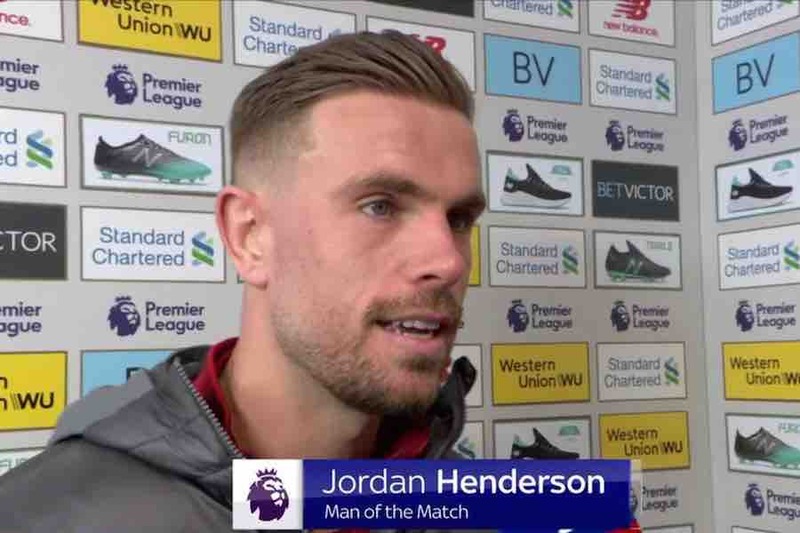 Not least because with his man of the match display today and his beautiful pass to create a goal in the first leg against Porto, Henderson seems to be hitting peak form at the business end of the season.